New York’s biggest celebrity feud has just reached a ceasefire. 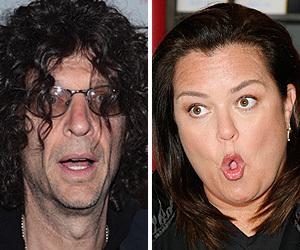 After years of harping on Rosie O’Donnell, shock jock Howard Stern is becoming a member of his arch-enemy’s fan club! In fact, Howard says Rosie should definitely have her own program.